You may be surprised to learn that roofing replacements may be covered under your home insurance policy, depending on the cause of the damage. For example, if your policy includes extreme weather as a named peril and your roof is damaged during a severe storm, your insurance should cover the cost of the repairs in part or in full, depending on how your policy works. The best way to know what’s covered and what is not, of course, is to call your insurance provider. Coverage will often depend on the age of your roof, the area you live in, and many other factors, so it’s important to know the specifics of your policy. If you suspect that a storm or other event has resulted in damage to your roof, invest in a comprehensive inspection as possible. Your may be subject to restrictions or limitations if you fail to report the damage within a specified (and often fairly narrow) time frame. When you’re dealing with insurance claims, every bit of evidence helps. You should carefully document the damage using pictures, and ideally, you should have recent photos on hand that verify the condition of the roof prior to the damage. It shouldn’t disrupt your claim if you don’t have photos that show what the roof looked like “before the damage,” but you should definitely make a record of what happened after the damaging event. You should contact your insurer as soon as possible, regardless of whether or not you are sure that your policy covers the damaging event. If you’re not sure whether or not your policy will cover the cost of the repairs, call an insurance company representative and ask. If the event is covered under your policy, review the language and wording of your policy to see what, if any, restrictions or limitations apply. For example, many insurers offer limited reimbursement if your roof is older (more than 10 years old in most cases), or was previously damaged. You should also keep deductibles in mind, as you will have to cover those costs out of pocket. It’s important to hire a roofing repair contractor who has proven experience with insurance claims. Specialized contracts and paperwork may be necessary, and experienced roofers may be able to provide you with case-specific tips for filing and following up on your claim. Contingency contracts are something you should be wary of. Some roofers – unscrupulous ones – may ask you to sign off on an inspection report when you are really signing a contingency contract. A contingency contract is an agreement stating that you will hire the contractor in question if your insurance company agrees to cover the cost of the repairs (in part or in full). There’s no reason to bind yourself to that kind of commitment before your claim is approved. Instead, make sure you’re just signing off on an estimate, which your insurer may require in order to process your claim. To make the claims process go as smoothly as possible, use the tips above when filing your claim and dealing with insurance company representatives. Bottom line: be proactive, ask questions, and provide adequate documentation. 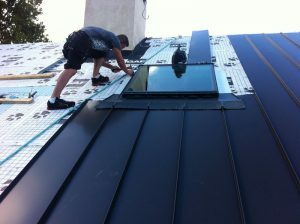 Your roofing contractor should also guide you through the process, so pick the right one. follow a regular maintenance plan that includes clearing dead branches from surrounding trees. As always, should you need assistance with your roof, whether repair or replacement, contact LGC Roofing, a family owned and operated NJ & PA roofer with three decades of experience. We will help you navigate your way through the roof insurance claims process! Call 609-712-8157 in New Jersey or (215) 932-7850 in Pennsylvania for assistance or to request a free estimate on your next roofing project! It’s good to know that when it comes to replacing a roof that there are somethings that we need to do to help the process go smoothly. I like how you mentioned that we can’t sign until we know that everything passes the inspection of our insurance company will allow us to do the project. This is something that we will have to remember when it comes to getting the roof replaced by a contractor. 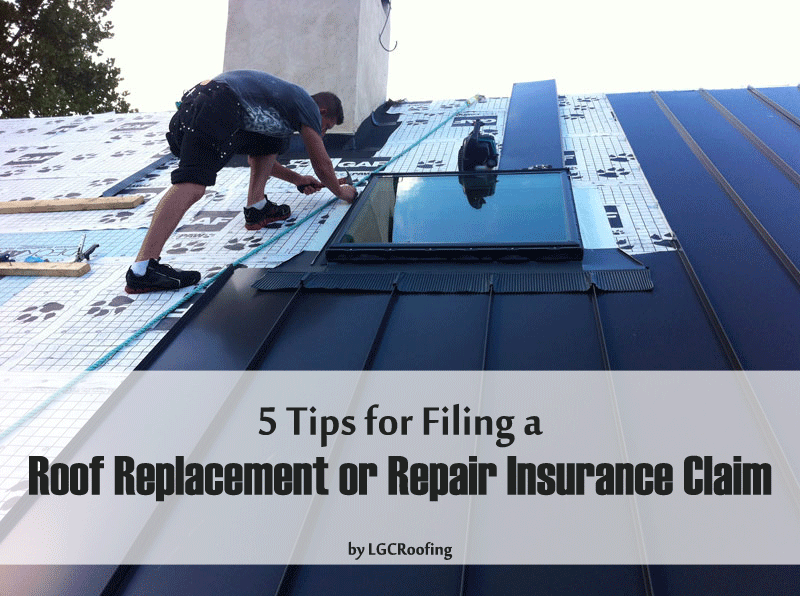 It really helped when you talked about how it is important to find a roofer that is properly insured in case something goes wrong with the work they do for you. It makes sense that taking the time to consult with the BBB can help you find a reputable roofer who cares about heir customers and about the work done for them. As I see it, it is important to remember to compare several companies and read online reviews in order to find a reputable roofing company and rest assured your decision was an educated one.